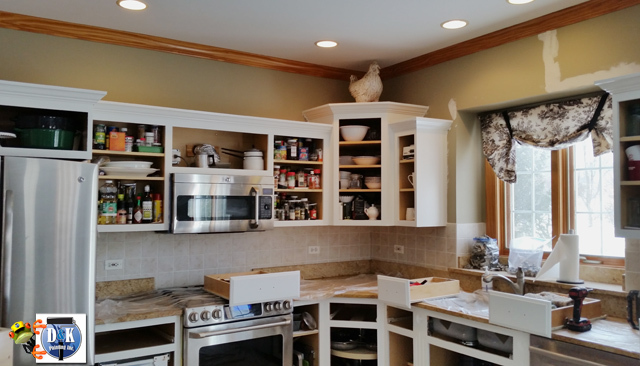 We did a full custom kitchen job in this home in Saint Charles. 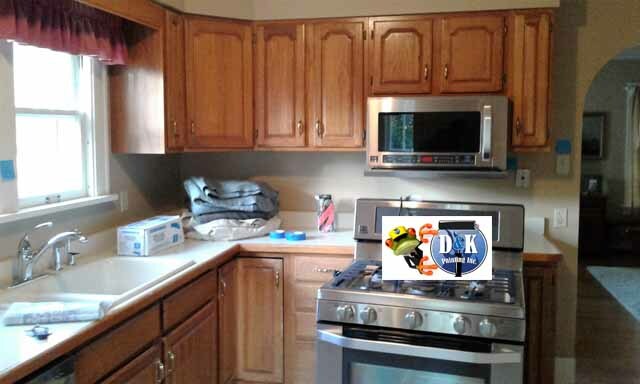 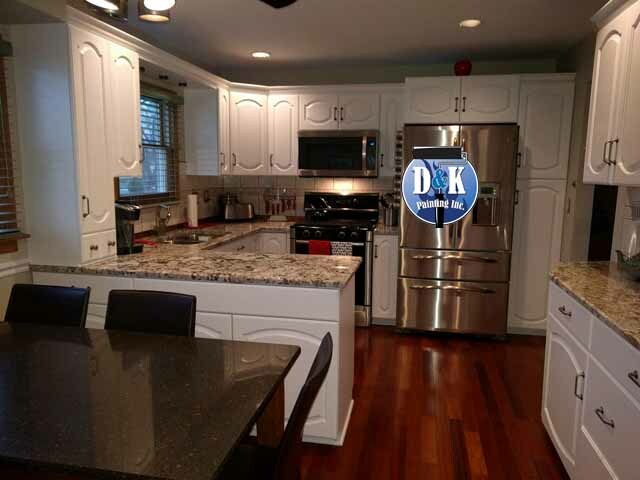 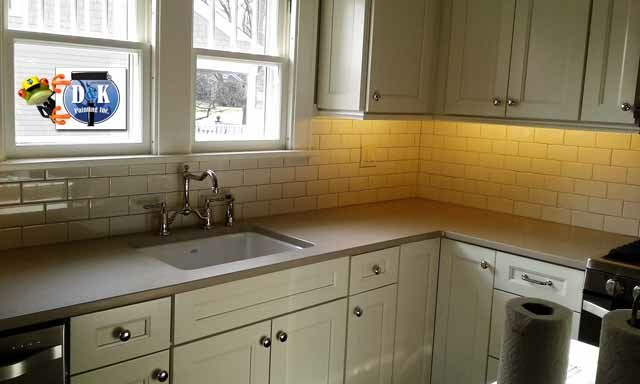 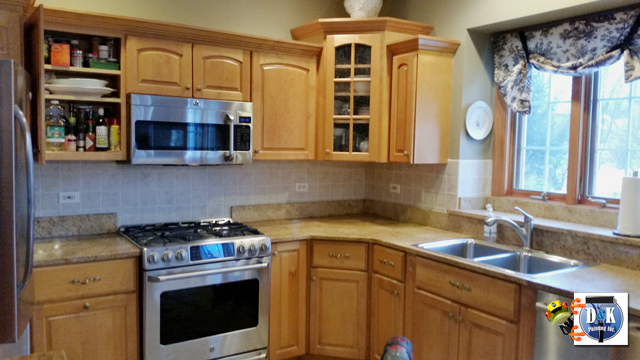 We renovated this kitchen with brand new cabinets, appliances, a custom island, and tile backsplash. 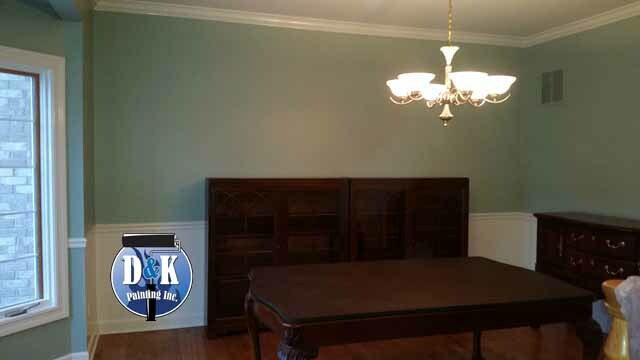 We painted the walls in the basement of this home. 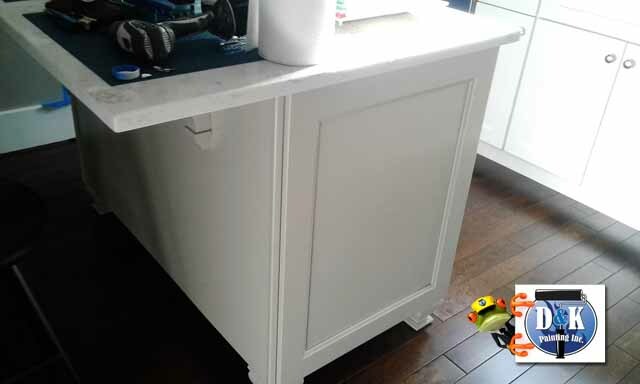 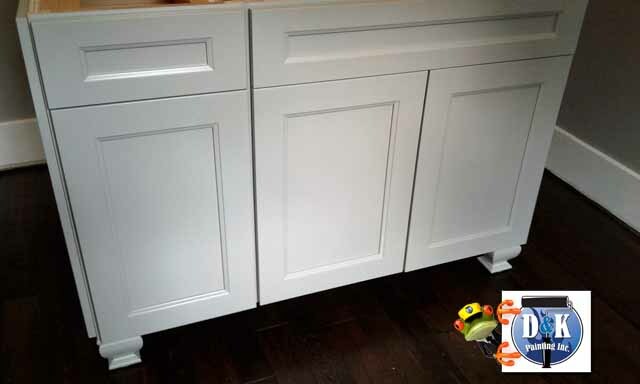 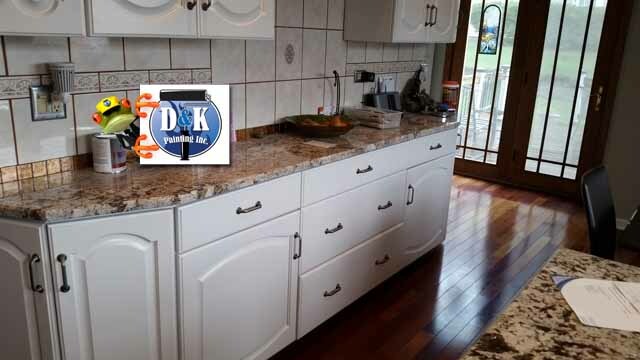 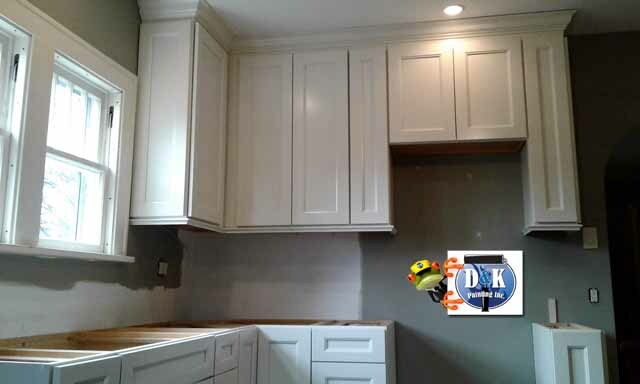 Here we refinished cabinets in the kitchen and dining area. 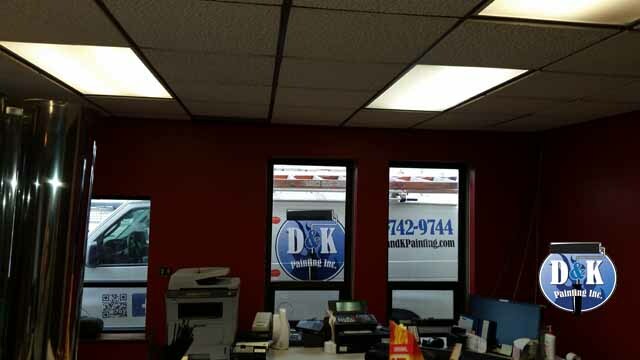 See how the new color updates the entire space! 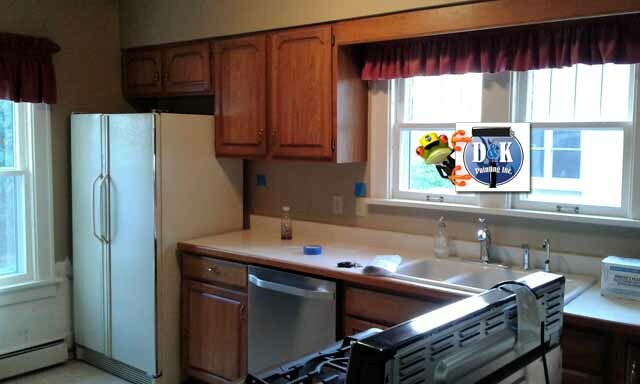 After painting the cabinets the kitchen looks new! 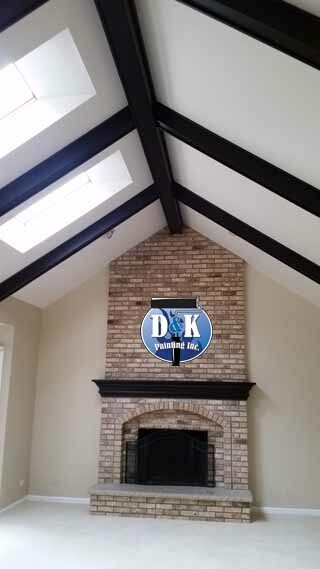 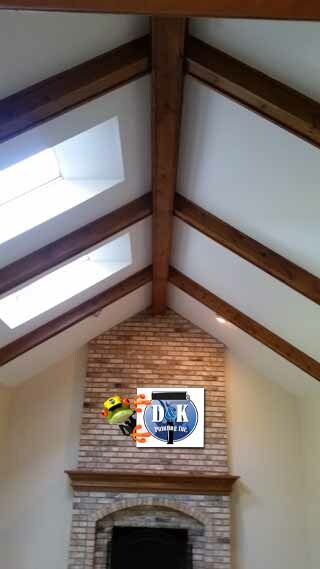 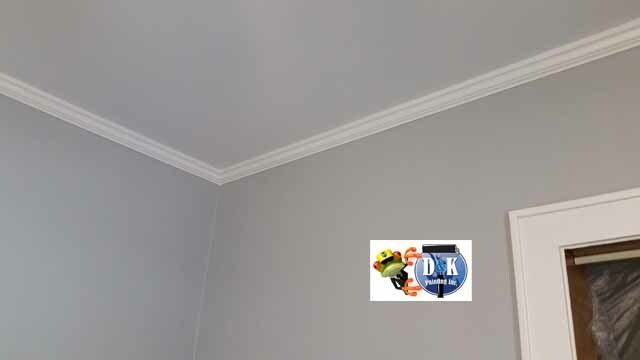 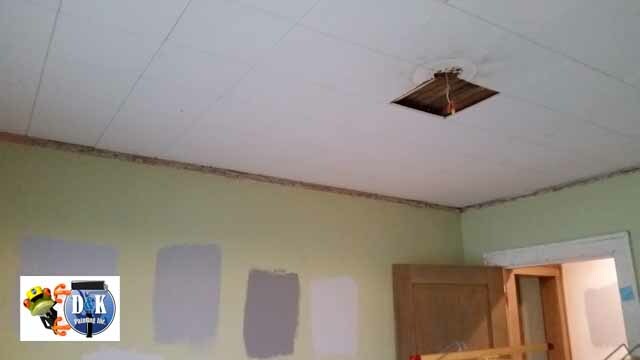 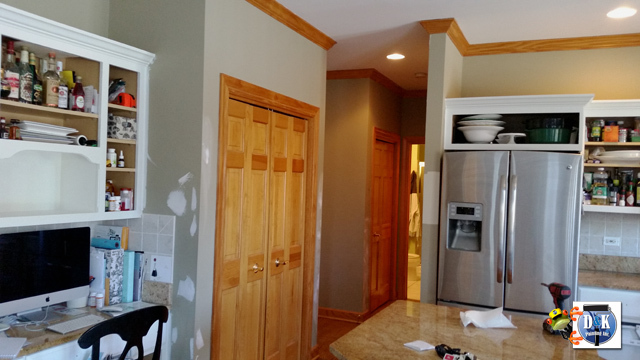 We installed a new ceiling and also repaired and painted the walls in this Sycamore home. 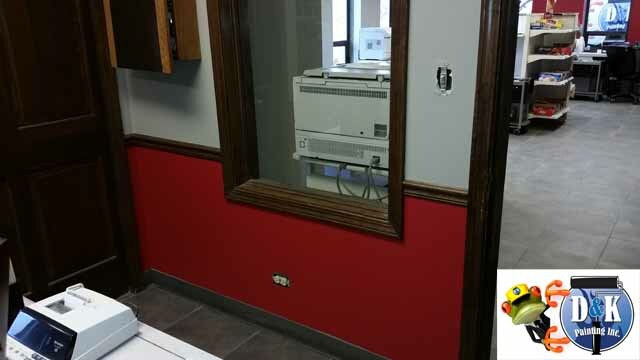 Look at this commercial office paint job. 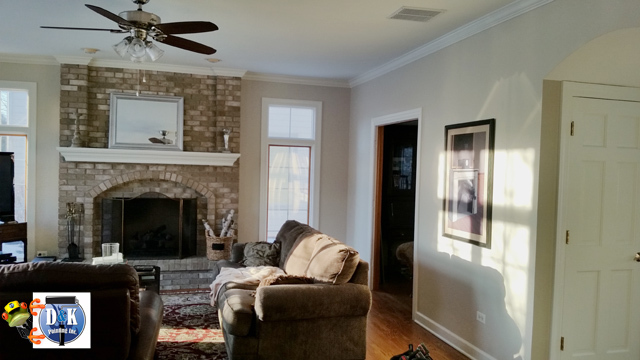 See how color can freshen up any space! 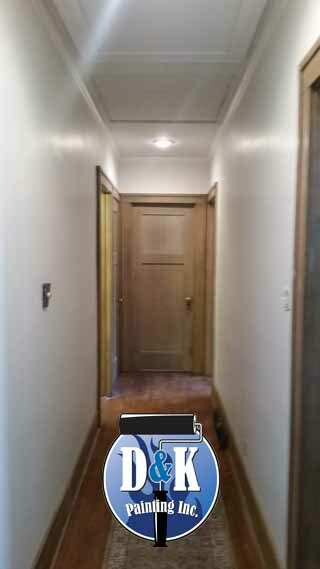 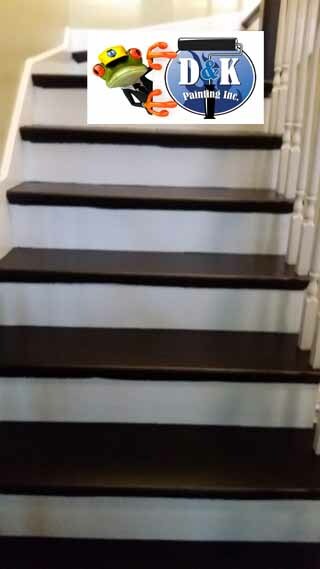 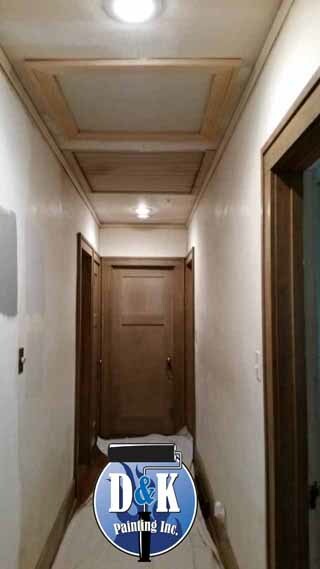 We painted this new construction home’s den and hallway with Benjamin Moore’s Matte finish in Wrought Iron color. 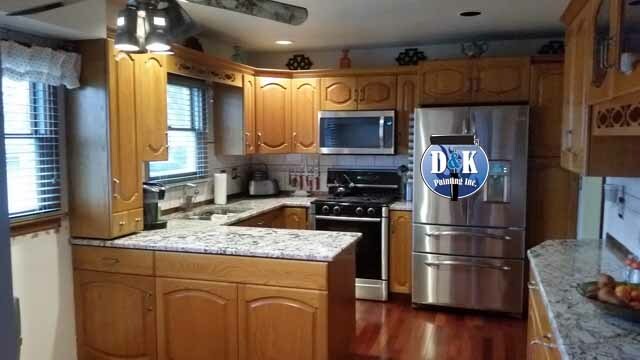 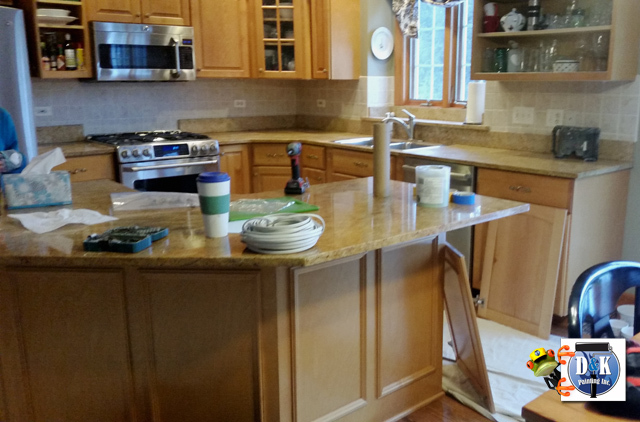 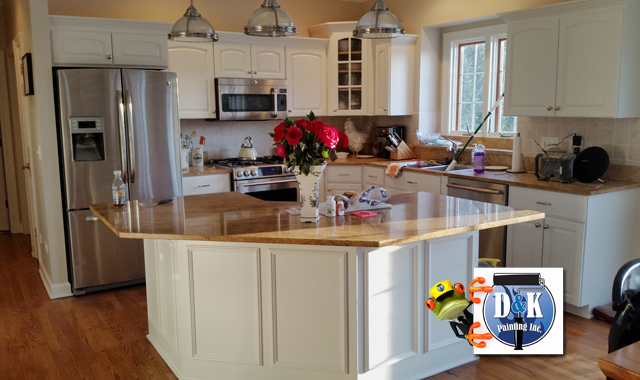 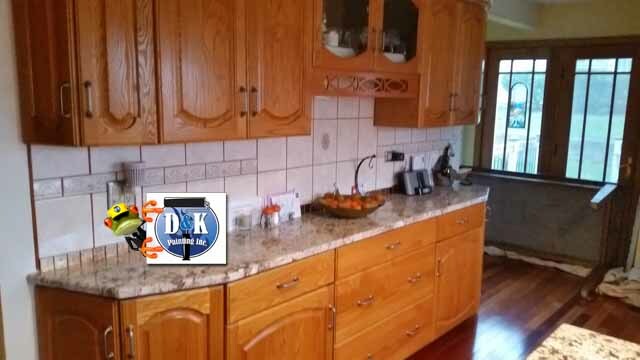 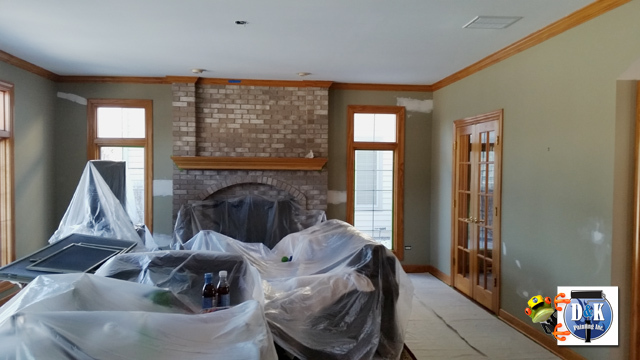 Check out the before, in process and after photos of this kitchen and family room in Saint Charles. 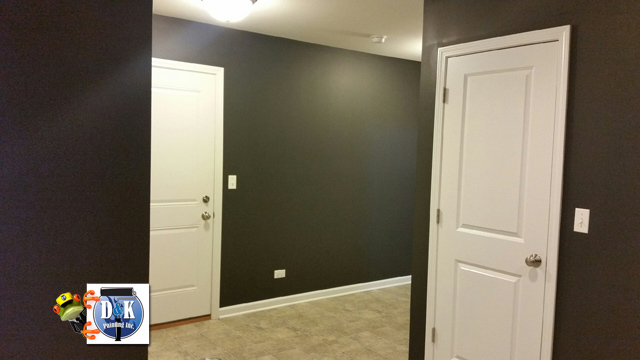 This job is a true testament to the power of paint, a great painting professional and the vision of a homeowner to create a warm and modern space. 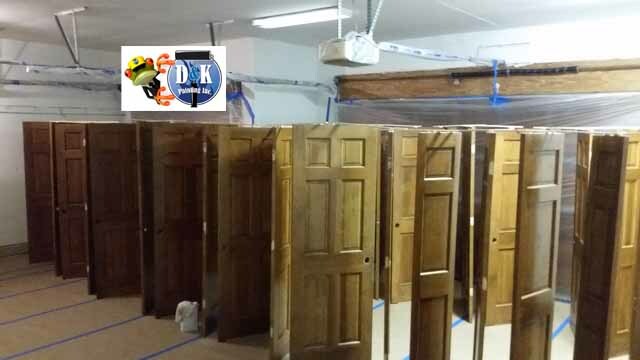 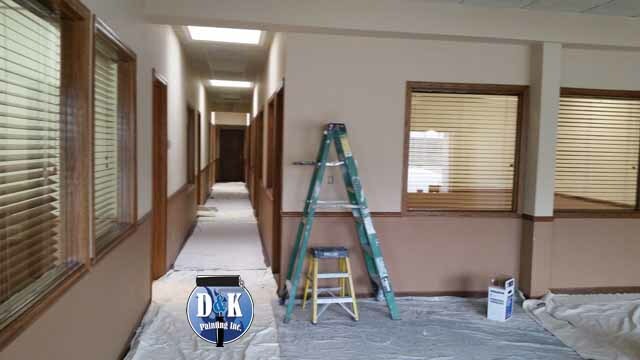 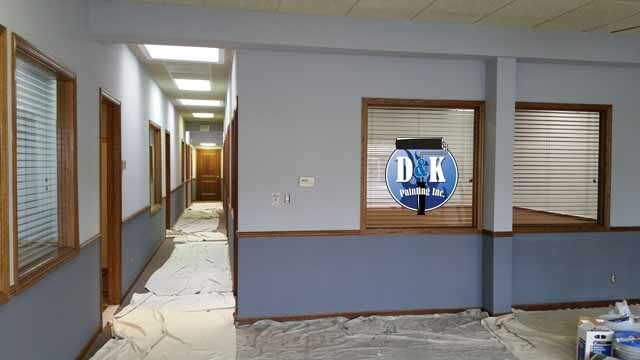 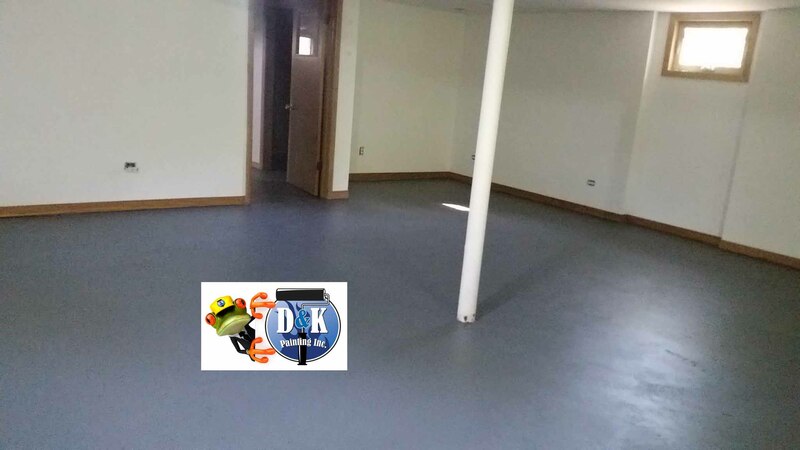 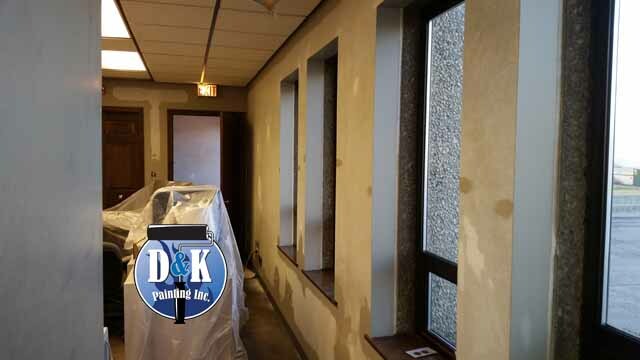 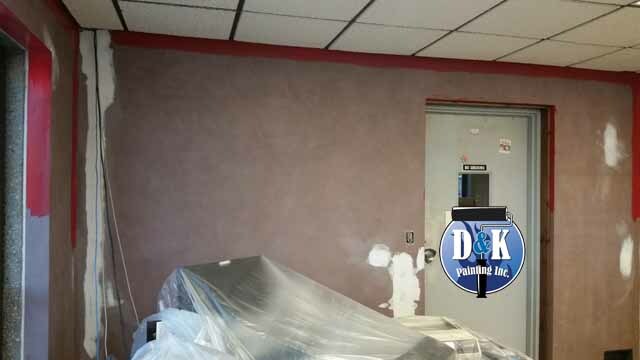 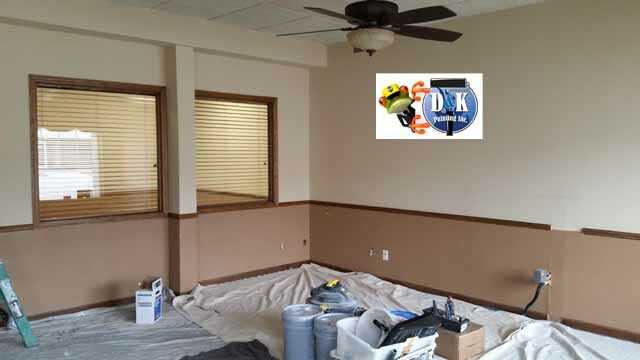 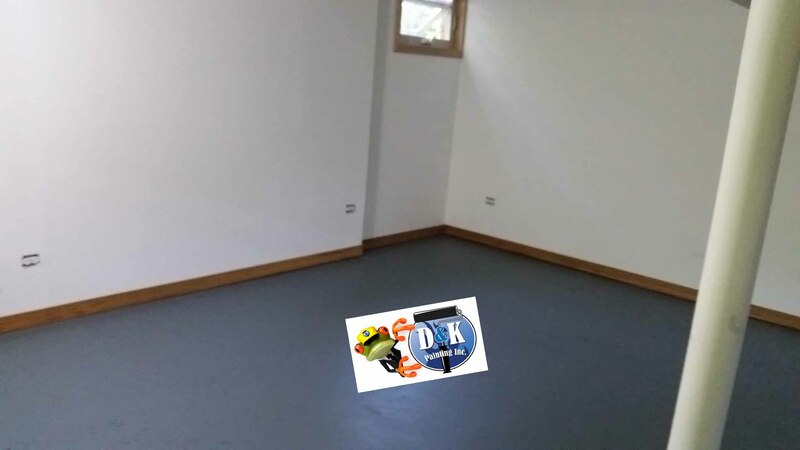 Here are some before and after photographs of a commercial interior paint job we did in Batavia Illinois. 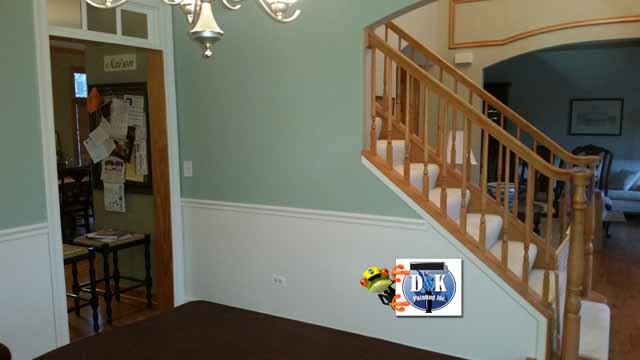 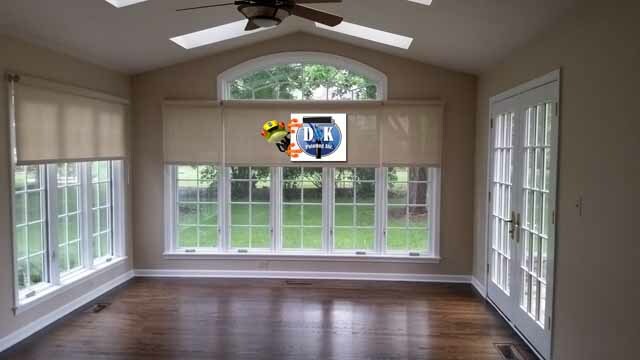 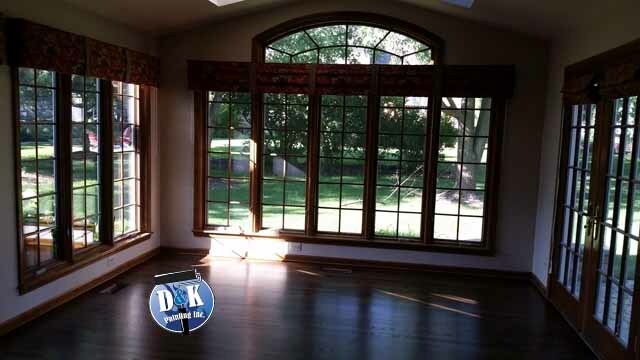 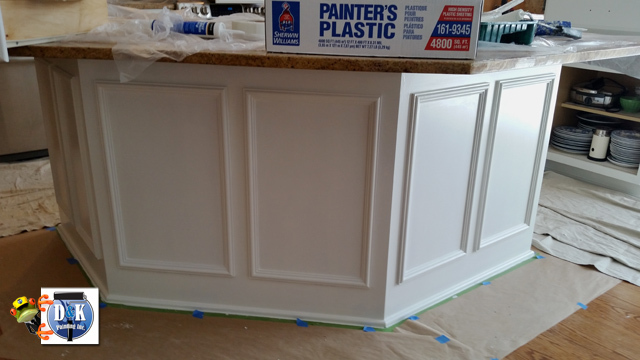 Here is an interior paint job we did in this Saint Charles. 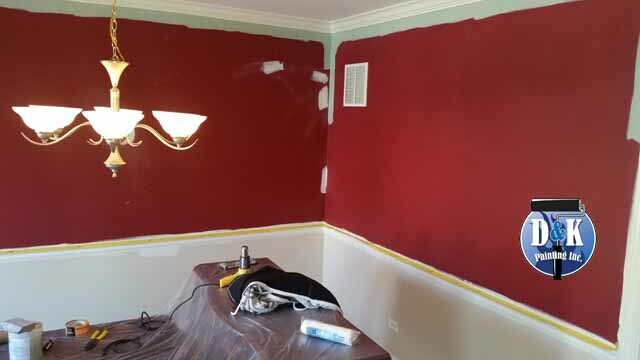 Check out how well the strong red is covered!